The 100th DV Fanatics blog. 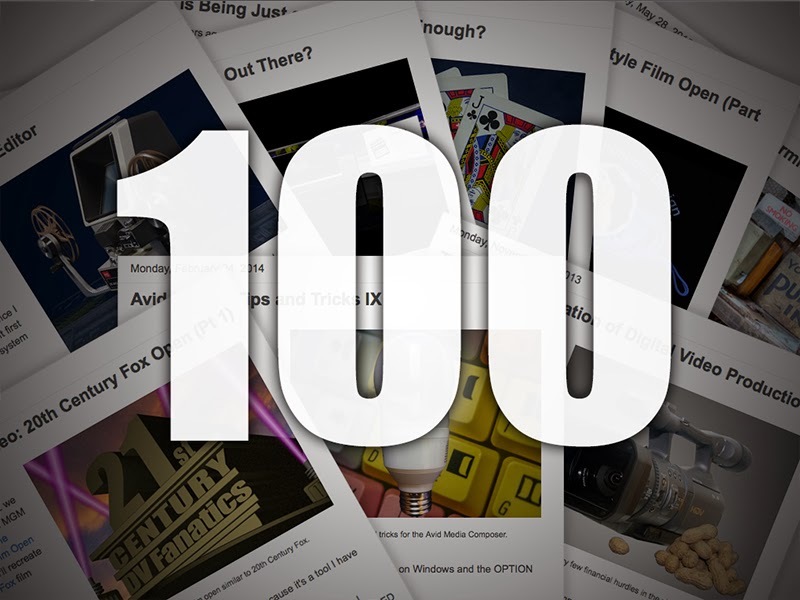 Today the DV Fanatics blog has reached another milestone - this is the 100th blog discussing digital techniques and technology in film and video production and post production. The blog kicked off on May 21, 2012 and has continued to address issues important to film and video professionals. Over the years, this blog has covered many topics from Avid Editing Tips and Tricks to What is the Best Video NLE Out There. In between have been video how-to tutorials and discussions about How to Become a Video Editor. I'm glad that you have found these articles helpful and I will continue to deliver more interesting topics for the next 100 blogs. Next week we'll take a look at some of the new announcements that came out of NAB last week. In the meantime, I'd like to wish Jeff (with whom I collaborated on my first film) a very happy birthday. Enjoy your year you old dog.